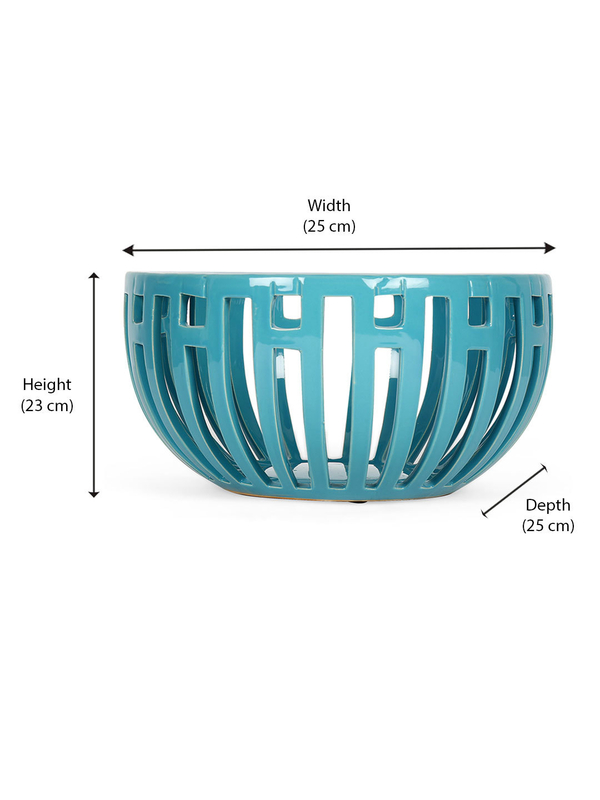 Bring in a hint of cool to your home with the Azure Aura cutwork bowl. Smart, stylish and elegant, it ticks off all the elements that can lend an instant statement to homes. Place it on the center table or on the dinning table. It looks beautiful in any space, in any room. Let it be empty or enhance it with stones, shells or flowers. If you’re looking for a cool gift for a friend, this could be it.